What if you could sneak in a quick workout during your next vacation? 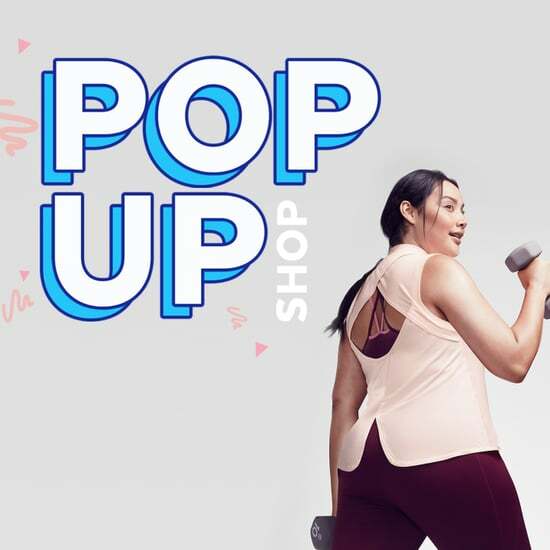 We partnered with C9 Champion® at Target to highlight exercises you can do right at the beach. Jumping Jacks (2 minutes): Use this time as a cardio warmup to get your body loose, exploding up as you jump. Frog Jumps (20 reps): Make sure to squat down low at the end of each jump. Side Lunges (30 reps on each leg): Take a large step with your right foot to the right side and lunge toward the floor, making sure your right knee does not extend past your toes. Complete 30 before switching to the other side. Bear Crawl (30 seconds): Get on all fours, hands in the sand, and crawl forward with your left hand and your right foot, then switch and crawl forward with your right hand and left foot. You want your knee to come up to the elbow, then return back. You'll burn your shoulders and core on this one. Sand Sprints (10 to 15 seconds, 10 reps): Get your heart rate pumping again with short sprint bursts — this is superfun for runners who want to try something new. After each sprint, take about 10 seconds to rest. 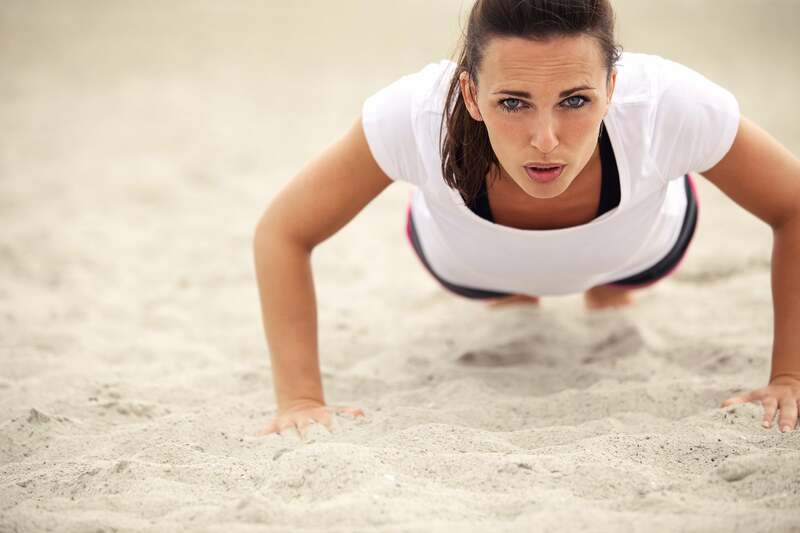 Walk-Out Push-Ups (10 reps): Bend down and walk your hands out along the sand until you get into proper push-up position. Complete a push-up, then walk your hands back toward your ankles before standing up.